Once upon a time no well dressed woman would leave the house without her lips and nails matching. Fast forward a few years and that all changed. While matching lips and nails might seem a little dated, Revlon are committed to bringing the vintage trend it back. Revlon revolutionised the beauty industry with their matching lips and tips ethos back in the 1950's. It was the pinnacle of beauty, sophistication and glamour. 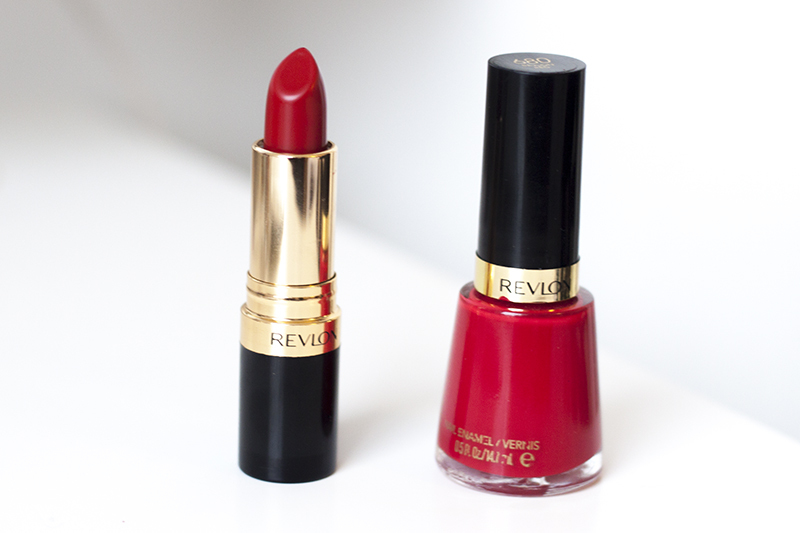 There are few things more iconic within the beauty industry than Revlon Red. As one of the most instantly recognisable shades on the market, this particular shade of red has been part of the Revlon line up for over 50 years. Put Simply, it's a universally appealing shade of true red. It doesn’t pull too blue or too orange. The Perfect Red, need I say more? While I'm all for making your own rules in beauty and there are really no rights and wrongs these days. I do quite like this whole matching lips and nails thing. It’s classic, bold and ladylike and definitely something that we should embrace more. It's a timeless trend that can be updated to fit a modern market, but Revlon Red always brings up images of old Hollywood with a huge nod to all things elegant and vintage. What do you think of matching lips and tips?